White shoes are for brides who want to depict purity and match their white gowns with footwear. The white shade will complement any colored dress making these shoes perfect for brides who are wearing nontraditional dresses in bright shades such as red and even black. 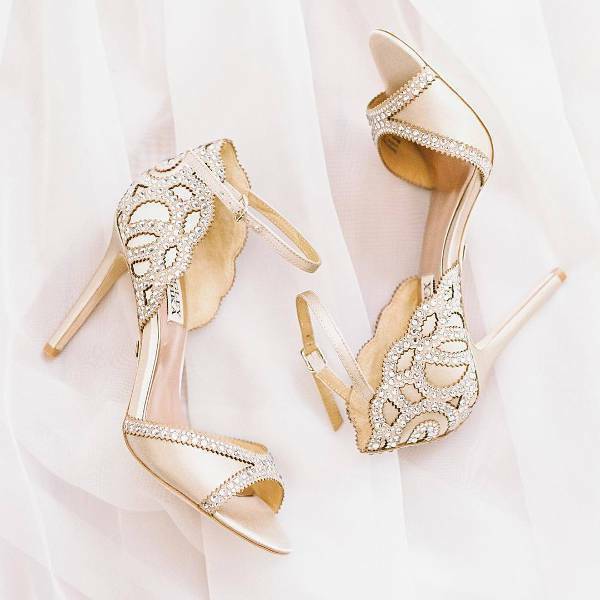 Gold bridal shoes are for ladies who want to add a bit of glamor to their simple gown. Glittery gold is especially cute as well as feminine. These shoes will complement dresses with less sparkle. Are you wearing a gown that incorporates lace? 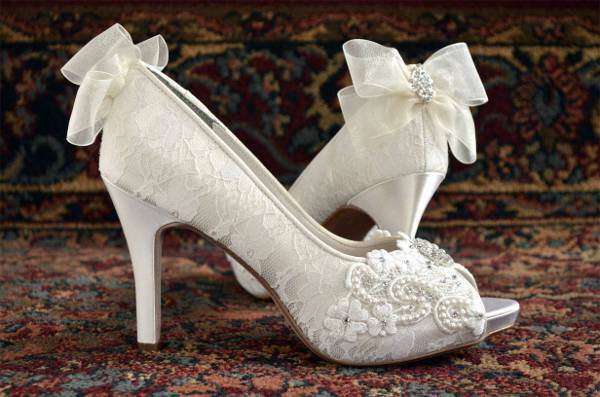 If yes, then lace bridal shoes are perfect for you. Lace is delicate and will easily show your feminine side. Opt for black or white lace shoes that you can wear after the wedding to other events. 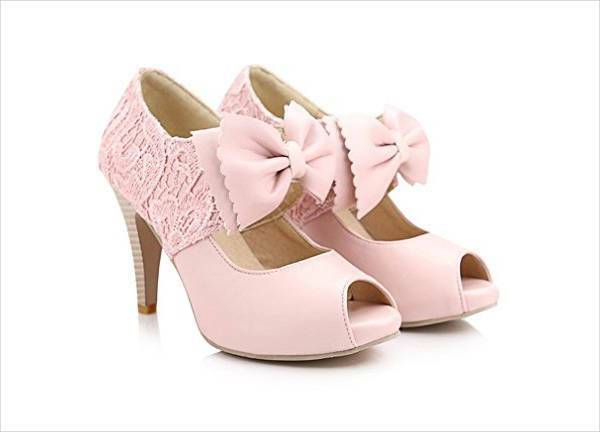 If you are having your wedding at the beach or are going to spend a significant portion of the wedding time standing, then it is best you wear flat shoes. 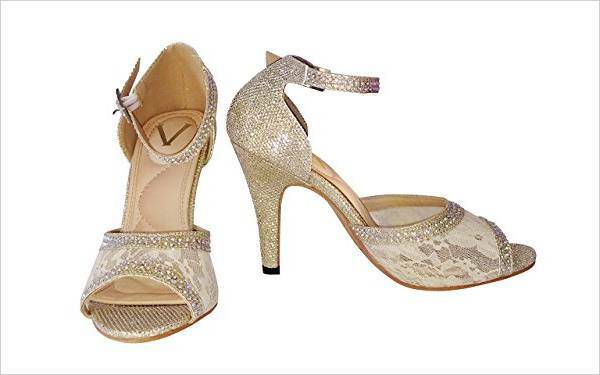 These flat bridal shoes are stylish, feminine, comes in different colors and the right fit will provide comfort. Wearing blue bridal shoes will add a pop of color to your white or cream gown. 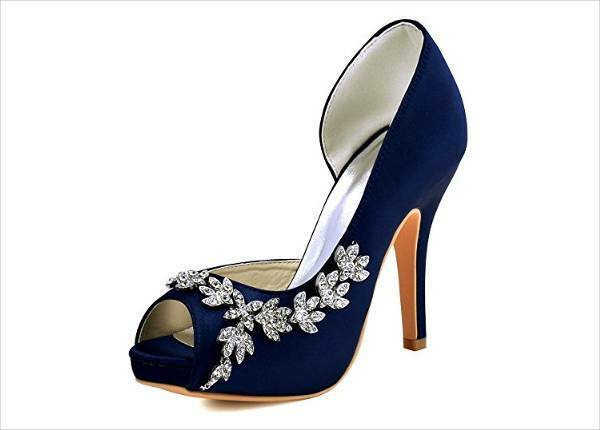 These shoes are also ideal for matching a theme wedding that integrates the blue color. If your man is wearing a blue suit, you can wear these shoes to create a uniform look. 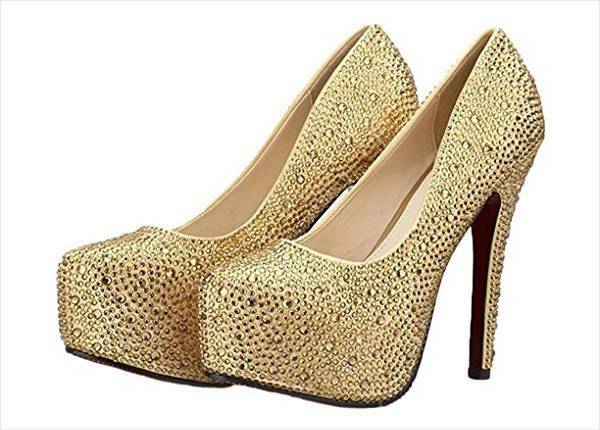 If the groom is very tall, then it will be practical when the bride wears heels when walking down the aisle. Heels will not only make a woman more attractive, but they are also a symbol of femininity and creates the illusion of a more body length. 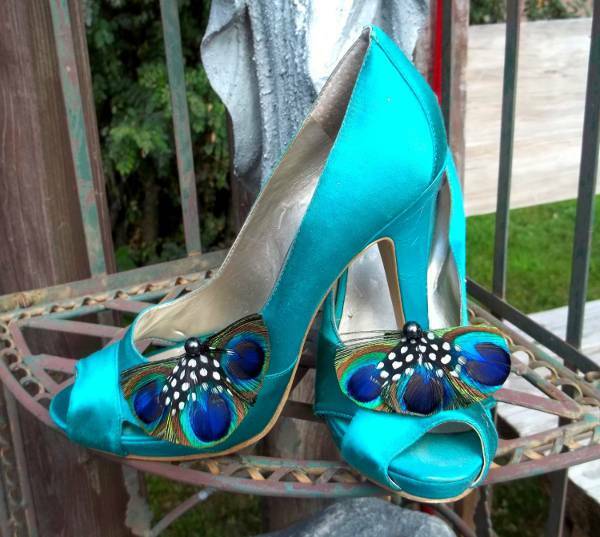 Most brides go for turquoise shoes to ensure that they stand out on that special occasion. The turquoise color also works to represent a feminine, calm, approachable, joyful and loyalty. With these shoes, you will also show your emotional balance. Footwear with embellished pattern is so eye-catching hence ideal for brides wearing a very simple dress. 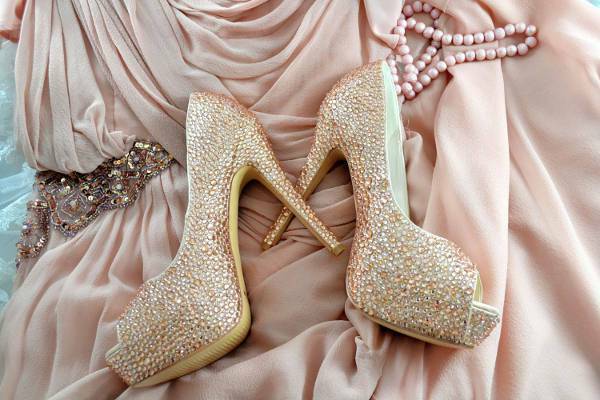 They will also show your personal style if match your embellished bridal shoes with the bridesmaid dresses. 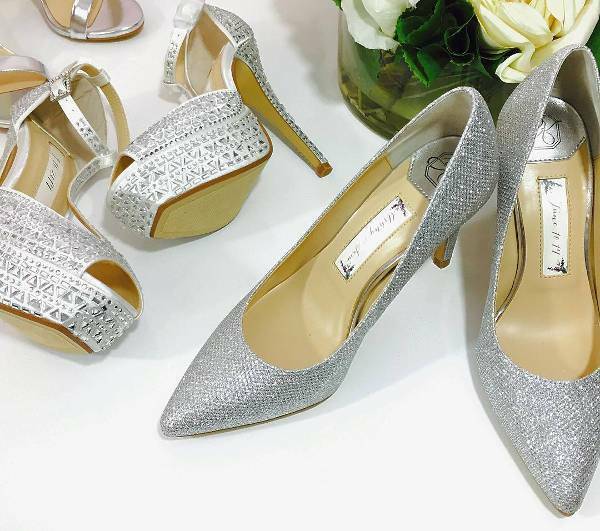 Silver shoes have a luster that will make sure the bride looks eye-catching and unique. The white shade of this color will match with any gown color and any wedding theme. For more comfort, choose to wear cute silver ballet shoes. To show your girly side, opt for pink bridal shoes. Whether in bright pink shade or baby pink, pink shoes made of satin or silk have a luxurious look that will match most wedding dresses. 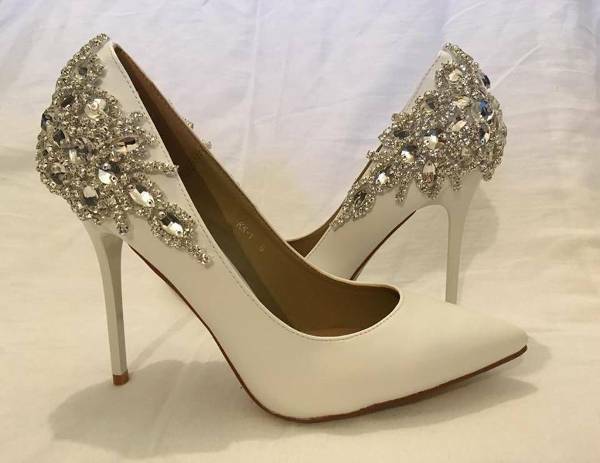 Wedding bridal shoes are available in many designs. 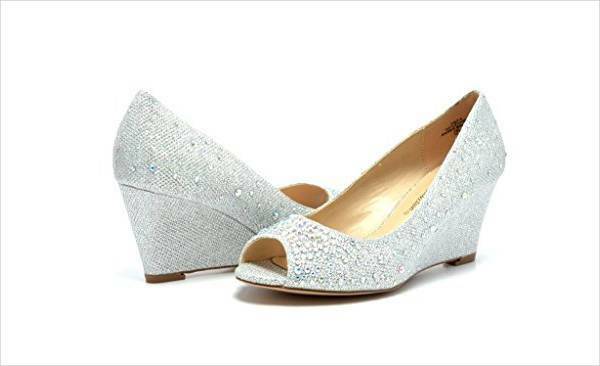 Bright sparkly or colored shoes are suitable for funky ladies while subtle shoes in simple designs are for brides who love a traditional look yet want to look unique. 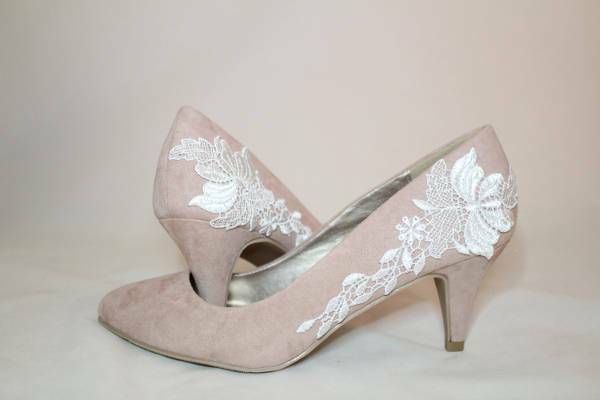 With many wedding shoes designs available nowadays it can be frustrating choosing the right color or fabric. 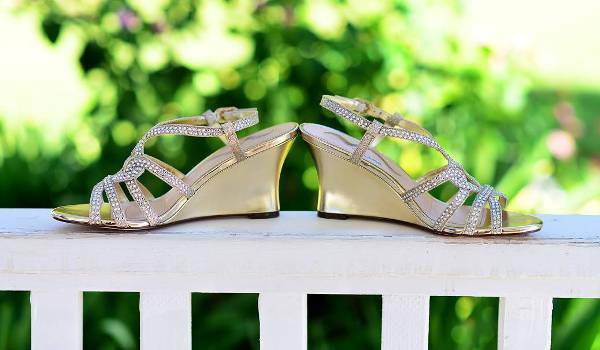 The trick is first to go for comfort and then choose flats, wedges or heels depending on the wedding destination. Flats are the ultimate comfort shoes while heels and wedges work to add height.